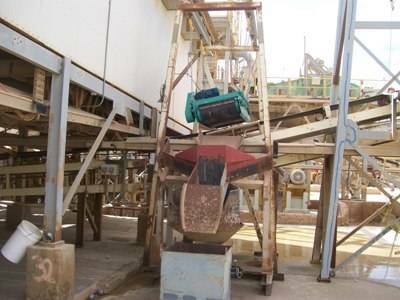 Unwanted iron in powders, sand, gravel, grain and other bulk materials on conveyors causes costly damage to crushing, grinding and screening equipment. Known as ‘tramp iron’ the offending items may range from nuts and bolts to spanners, chain, wire – even train wheels and couplings have turned up in cane being fed to sugar mills. Removal of these items is a specialty of Serpent and Dove, representing the Longji Magnet Company, Asia’s largest magnet manufacturer. Today, new generation, low cost, rare earth permanent magnets in either self-cleaning or manually cleaned styles can perform many of these duties with ease over conveyors with burden depths of up to 300 mm or even more. The advantage of permanent magnets for conveyors is that no power supply is required for the magnetic field. For applications beyond the reach of these permanent magnets the Longji range also includes deep field oil-cooled, air-cooled and fan-cooled electromagnets.